I happened to stumble across the above chart online the other day. It's not new data, and was actually quoted in this major publication. 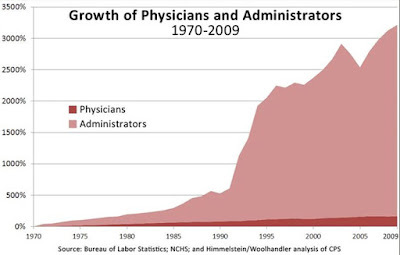 I can write articles and parse the challenges we face till the cows come home, but nothing can really sum up what's wrong with American health care more than this chart. It says everything and is quite obnoxious. What's worse, it's from 2009—and the curve has probably considerably diverged since then. So that's it, my blog post for the week. Just stare at this chart and take it all in. Feel free to comment below. Nothing I write can possibly say more than this.